New Jersey. To the Turnpike motorist, it's a blur. To the holiday shopper, it's a tax break. To many a visitor, it's a glittery casino. To the photographer, however, New Jersey is a gold mine. Inside, nine great photographers display their visions of Hidden New Jersey. Among them, we visit the grim ghettoes of Newark and Camden, a lonely Asbury Park boardwalk, an industrially-augmented Hackensack River sunset and a dysfunctional family at dinner. 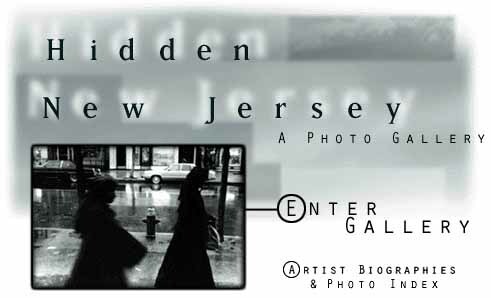 Hidden New Jersey runs 14 days with a different image featured each day. Think of it as NJO's holiday card to you.